‘She Rallies’ has been created to strengthen and grow the female workforce with the ultimate goal of attracting and retaining more women and girls in tennis. 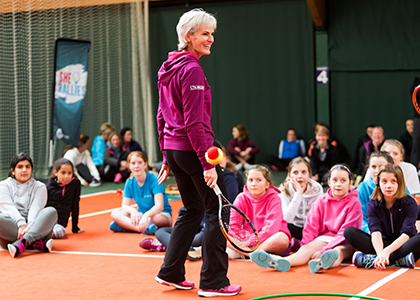 Judy Murray in partnership with the Lawn Tennis Association, hosted its first weekend of events from 3rd – 5th February 2017. 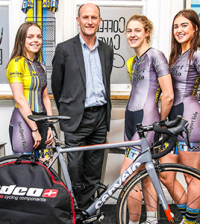 Beginning with the first of its kind female coach conference, followed by two days of bespoke training for the newly selected ambassadors, the weekend was a huge hit with all involved. The conference on Friday 3rd February bought together seven female speakers from various sporting and business backgrounds, with Australian performance coach, Emma Doyle kicking off proceedings. Emma discussed her work around how to improve and impact the communication, coordination and confidence of people who work with women and girls in tennis around the world. Emma was followed by sports Physiologist, Georgie Bruinvels, who educated the audience on the fundamental differences between male and female physiology and what this means for coaches in their session planning and delivery. Award winning sports journalist, Sue Mott then provided an insight into being a woman in a man’s world of sports journalism and how this has progressed throughout her time in the industry, from being one of the first female journalists to cover sport for national newspapers. Sue then welcomed Paralympic gold medallist, Emma Wiggs, to the stage who gave an inspiring account of her journey. 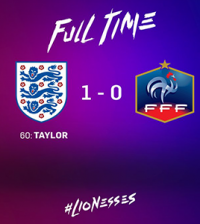 Following this, Dr Leanne Rimmer delved into the key psychological differences between men and women, including emotional intelligence, source of motivation and self-confidence. Judy Murray provided an exclusive insight into her experiences in the industry through an interactive Q&A session, allowing the female coaching audience unique access to ask questions on her personal and professional tennis journey. Finally, Ideologist Caroline McHugh left the women feeling engaged, inspired and empowered by helping them to understand the art of being themselves. The next stage of events took place over the weekend where the specially selected She Rallies ambassadors took part in a bespoke training. 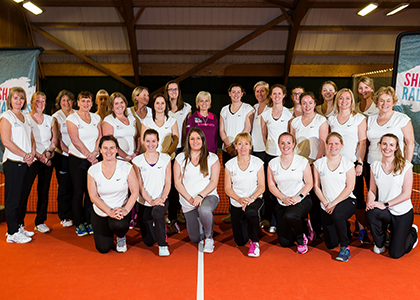 On Saturday 4th and Sunday 5th February, the ambassadors were taken through the content of the four courses by Judy Murray and her team. Throughout the two days, Judy guided the female coaches through delivery of starter tennis for girls aged 5-8, tennis for teens, how to run girls fun days and delivering recreational competition for girls. 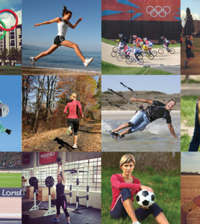 There are a total of 26 She Rallies ambassadors; between two and four from each LTA region. These women were carefully chosen by their respective LTA Head of Regions and LTA County Associations. 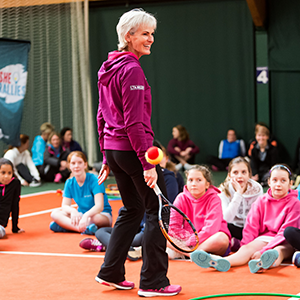 After taking part in a successful training weekend with Judy Murray and her team, the ambassadors were each given an equipment bag and access to online videos and resources to help them begin rolling out courses in their local areas.